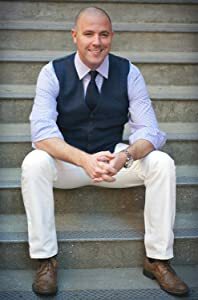 Funaro’s writing has improved noticeably since he wrote his first middle grade novels a few years ago, Alistair Grim’s Odditorium and Alistair Grim’s Odd Aquaticum. 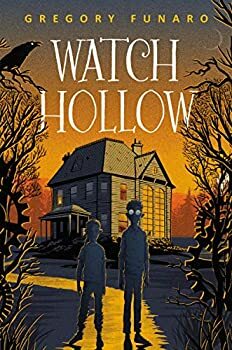 While Watch Hollow isn’t quite as crazily fantastical as those books, I found Watch Hollow more coherent in its plot, with improved flow and characterization. Funaro still occasionally does some telling rather than showing, but overall the plot flows well, with enough depth and interesting details to keep the reader engaged. Everything here was designed to work together in perfect balance ― sunstone and shadow wood, light and dark, day and night. For in such balance there is potent magic. Watch Hollow is the type of book that would lend itself to reading aloud to younger children, as well as being given to middle grade readers who love fantasy, animals, or both. The story ends on an open note (not a cliffhanger, thankfully), with a second book, The Alchemist’s Shadow, expected in early 2020. I look forward to the further adventures of Lucy and Oliver. Published in February 2019. New York Times bestselling author Gregory Funaro brings us into a world where magic exists, monsters roam in the shadows, and wooden animals come to life. Deep within the enchanted woods in the town of Watch Hollow stands the once-grand Blackford House, whose halls hold a magical secret: a giant cuckoo clock that does much more than tell time. But when the clock’s gears cease to turn, an evil presence lurking among the trees begins to come out of the shadows. When Lucy and Oliver Tinker arrive in Watch Hollow, they have no idea that anything is wrong. A mysterious stranger has made their father an offer that’s too good for him to refuse. All Mr. Tinker needs to do is fix the clock at Blackford House and fistfuls of gold coins are his to keep. It doesn’t take long, however, for the children to realize that there is more to Blackford House than meets the eye. And before they can entirely understand the strange world they’ve stumbled into, Lucy and Oliver must join forces with a host of magical clock animals to defeat the Garr—a vicious monster that not only wants Blackford House for itself, but also seeks to destroy everything the Tinkers hold dear. It’s definitely right in the middle grade pocket, but if you’re ever in the mood for that kind of read, give it a shot!